Osama bin Laden’s son, Omar bin Laden, 26, stated that there was a better way, not war, to defend Islam. Omar intends to become an ambassador for peace between the Muslim and the Western world. Omar, the fourth of 19 sons of world’s most wanted terrorist, caused a commotion in tabloids all over the world last year when he married a 52-year-old pensioner from Britain, Jane Felix-Browne, who subsequently took Islamic name Zaina Aslabah. The couple is now going to set off on a 5,000-kilometer horse ride across North Africa to attract attention to peace issues on the planet. On January 14 the couple has applied for a visa to Britain. Omar lived with Osama bin Laden in Sudan and then moved to Afghanistan in 1996. He underwent training in terrorist camps but later decided to return to Saudi Arabia. "I don't want to be in that situation to just fight. I like to find another way and this other way may be like we do now, talking," he said in English. 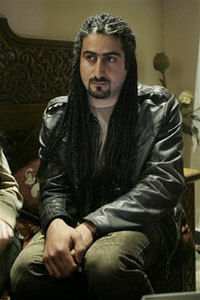 Omar bin Laden and his wife say that the Egyptian authorities do not bother them at all. Omar said that he had not come into contact with his father since the time he left Afghanistan. “He has no email and no phone. If he had at least one electronic device they would detect him immediately,” Omar said. Omar does not condemn his odious father, saying that the latter simply tries to defend the Islamic world. "My father thinks he will be good for defending the Arab people and stop anyone from hurting the Arab or Muslim people any place in the world," he said, noting that the West didn't have a problem with his father when he was fighting the Russians in Afghanistan in the 1980s. Osama bin Laden’s son believes that a truce between al-Qaida and the West is quite possible. "My father is asking for a truce but I don't think there is any government (that) respects him. At the same time they do not respect him, why everywhere in the world, they want to fight him? There is a contradiction," he said. The prime suspect of 9/11 terrorist attacks in the USA suggested a truce for Europe in 2004. He put forward the same suggestion to the USA in 2006. In November Osama bin Laden urged the European Union to withdraw troops from Afghanistan. However, in a series of his messages released in 2007 Osama bin Laden urged all Muslims to conduct the holy war. It is generally believed that at least two of Bin Laden’s sons play an important role in al-Qaida. However, most of his children are law-abiding businessmen. The family disavowed Bin Laden in 1994, when Saudi Arabia deprived him of citizenship due to terrorist activities.